Specs: Town tour, hiking, island hopping, snorkeling, white sand beaches, lagoon, Maquinit hot springs, mangrove walk, souvenir shopping. 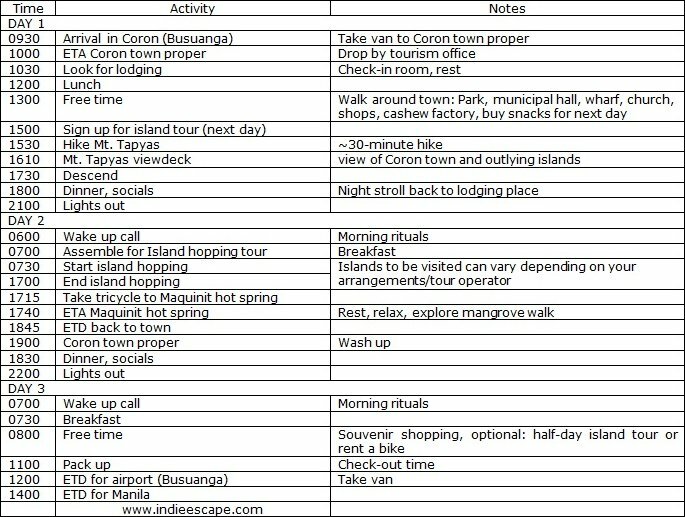 This was roughly my 3-days-2-nights itinerary when I went on a solo trip to Coron, Palawan; it is best suited for a long weekend escape. 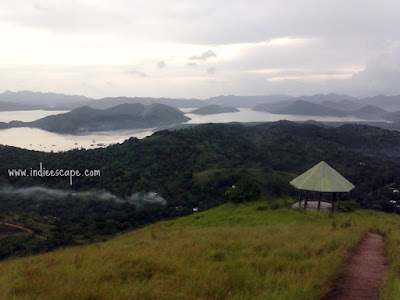 If it is your first time to do a Coron tour, I suggest you visit this page, too: 10 things every tourist in Coron might want to know. There are daily flights to Coron from Manila via Cebu Pacific, Airphil Express and ZestAir. The airport in Coron Island is located in Busuanga (airport code USU), about 30 minutes away from Coron town proper. Passenger vans await outside the airport terminal to take you to Coron town proper (P150 per person). There are also jeepneys to Coron town, but these are rare and would take 2 legs. INDIE TIP: The van from the airport can take you anywhere within Coron town. I asked the driver if I can stick around while he drops off the other passengers (some to their doorstep!) so I can get a quick city familiarization tour. 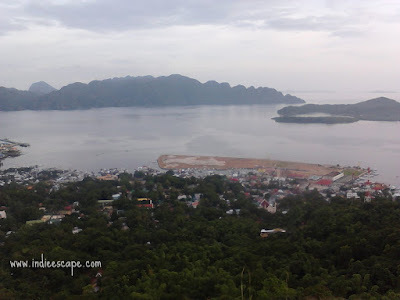 There are many lodging houses in Coron to suit every budget. Backpacker style rooms cost around P300-P450 per night; Small hotels charge around P500-P1000 and more popular resort hotels can cost upwards P1200 per night. If you’re also travelling solo, ask for a single occupancy room rate, most of the time, the hotel can slash a few hundred pesos from the published rate. To make your life easier, I will make a list of hotels/lodging/resorts in Coron (soon). 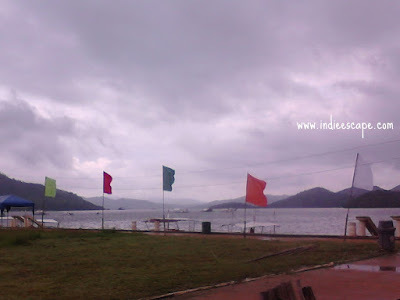 Some lodging houses are located by the floating houses on the bay like the Seadive Resort, Coron Backpacker Guesthouse and Crystal Lodge. The idea is really good but it requires about a 2-minute walk on stilt paths - not good for a female soloist (or a drunk male!) at night - and it left me wondering where the waste water goes, so I opted for the ones inland. I checked in at R2R (Rags 2 Riches) Inn because the room was clean, had its own bathroom, TV (not that I needed it), free WiFi and I got the single occupancy rate even if the room had two beds in it. The airport in Coron is pretty small, so arrival is a breeze. You claim your baggage right at the gate since they don’t have a conveyor belt. Pick up some brochures from the airport in case you are still looking for a place to stay. Sun cellular network has no signal in Coron. If your hotel reservation allows free airport transfers, take advantage of that. 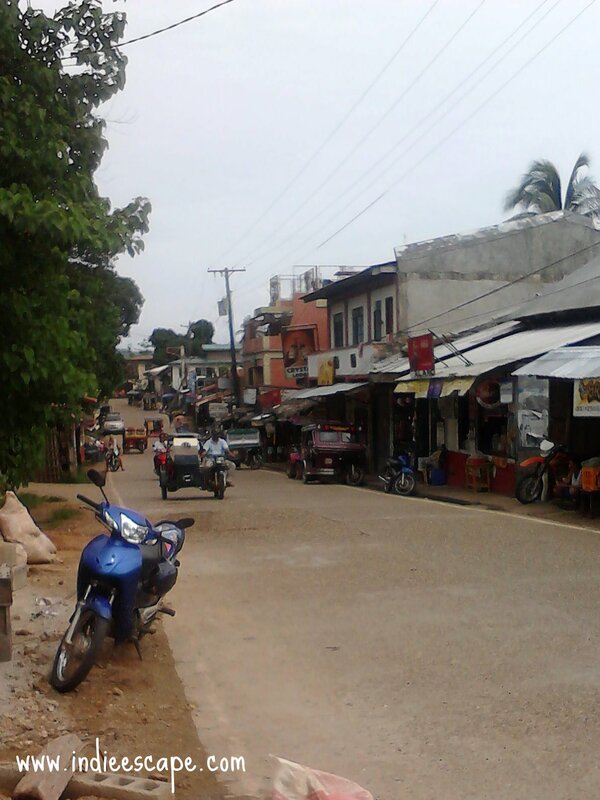 Otherwise, take a van to Coron Town (P150). Ask to be dropped off at the tourism office so you can ask for travel information and a city map (if available). There are 3 ATMs in the town center: BPI, Landbank and Allied Bank. Other options are Western Union, Palawan Pawnshop, LBC and the like. Pick up tour brochures after lunch as you do your walking tour around town. 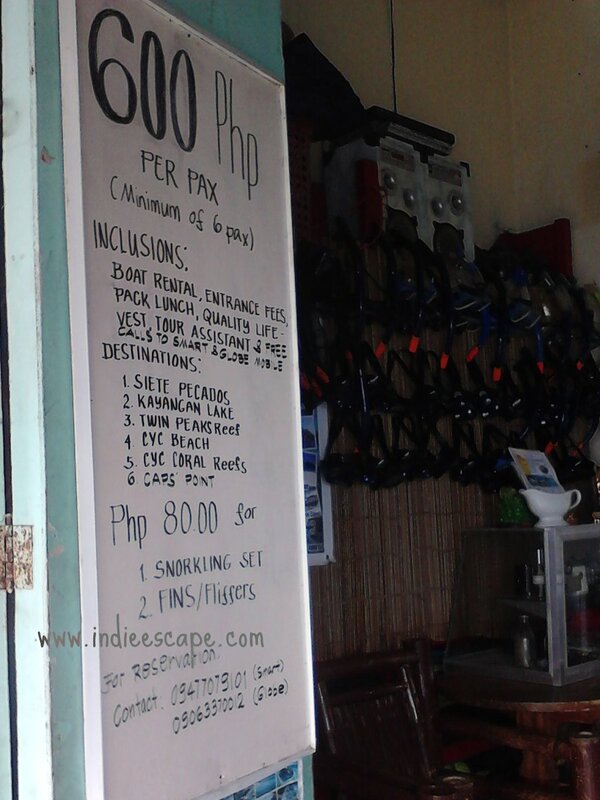 Island hopping tours in Coron are set up in packages which vary per tour operator. 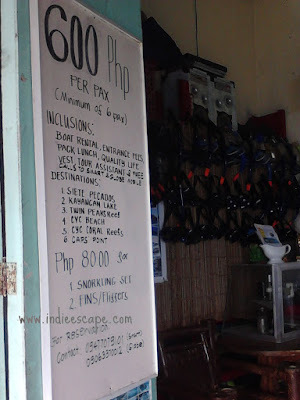 It’s usually 4-6 islands/areas per package (P600-P1000+ per person). This means that you won’t get to visit all destinations in one go as each tour can last an entire day. 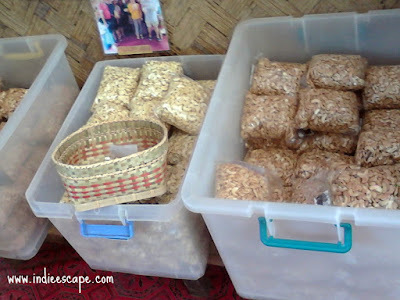 Visit the Coron Harvest’s cashew processing shop (factory?). INDIE TIP: If you’re travelling large (or in a large group), you can do a custom island tour by renting your own boat. That way, you can choose where you want to go and have more control of the time spent in each destination. It’s more cost efficient to split the cost in a larger group but honeymooners might also want to do this option so they can have the boat for themselves. After signing up for an island tour, set off for Mt. Tapyas. 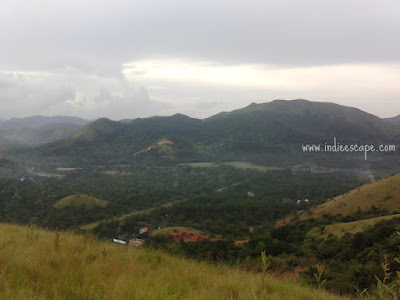 The entry point to Mt.Tapyas can be found on Tapyas Road, and the end of San Agustin St. You can take a tricycle or hike your way there (it’s hard to miss). The 700-plus-step climb to the viewdeck should take less than an hour. Mt. Tapyas offers a panoramic view of Coron town and the outlying Calamianes islands. Last items on the day’s agenda: shower and dinner before before calling it a night. Coron people eat the same stuff Manila people do. Traditional local fares can be found in carinderias (eateries) all around town. Some may specialize in a particular dish, but overall the choices are pretty standard. 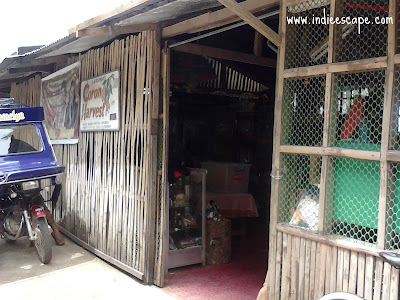 Restaurants in Coron are simple. Some may offer intecontinental dishes like Schnitzels and pancakes but don’t expect to see franchised fastfoods nor fancy airconditioned joints. I spotted a few neighborhood coffee shops for those who need their daily caffeine fix. You’d expect seafood to be cheap and abundant in a beach town. I did, too. But when I looked around, it seemed like good seafood fares had a tourist price tag. So I settled for cheap fried fish in a local carinderias instead. Day 2 is reserved for your island hopping tour. Simply show up at the pre-arranged rendezvous spot and wait for your tour guide. Lunch is usually included in the tour package cost, so you only have to bring water and some snacks with you. If you’re a brekkie, go ahead and have breakfast first before you embark on the tour. Aside from your swim-ready outfit, I suggest you pack these, too, for island hopping day: dry bag, waterproof gadget bag (a ziplock bag will do), cover up such as a sarong, water, snacks, camera, sun protection (sunblock, shades, wide-brim hat) and snorkeling gear (otherwise, it’s P100-200 to rent them). Bouyancy vests are provided in the boat. Taking a packaged island hopping tour means you’ll be sharing a boat with other guests. Take this opportunity to get to know other travelers like you. The island tour usually ends at around 5:00PM, when the tour boat drops you off at the dock. From the dock, walk back to the main road and hire a tricycle to take you to Maquinit hot springs and back. It’s about P200-300, depending on how much time the driver has to wait for you. An hour is usually enough to relax your tired muscles. Explore the mangrove walk and take a dip at the hot spring pools of Maquinit (37-40 degrees Celsius). 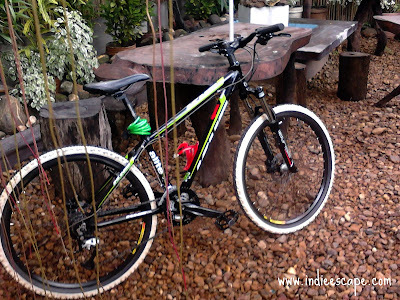 Entrance fee is P150 for all-day use, including picnic tables and changing rooms. 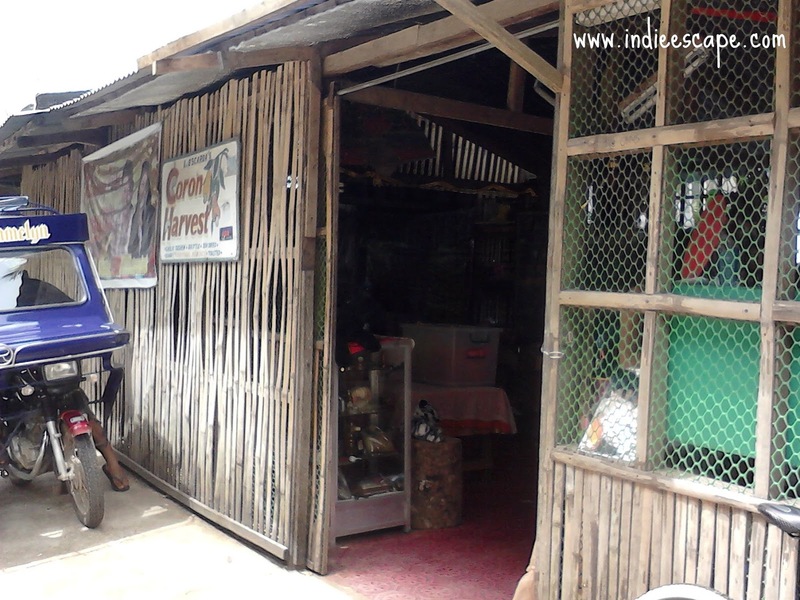 A sari-sari store sells basic needs and snacks inside the compound. Pretty handy because guests are not allowed to bring outside food. There are no shower areas in Maquinit so you can either change into dry clothes or ride back to town sporting a ‘wet look’. After taking a shower in your room, invite your new found friends for dinner and maybe a round of drinks. Contact your van driver from Day 1 to arrange your airport transfer. Fare is still P150. From Coron town, you can also explore neighboring towns by land or boat. 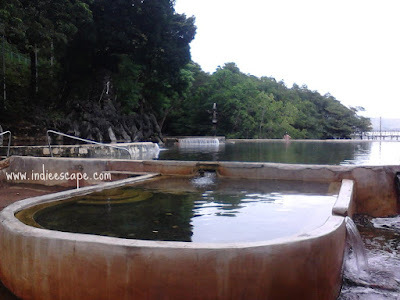 Famous ones include Culion, Coron (Island) and the Calauit Safari. Trips to El Nido can also be arranged from Coron. Travel time is around 6 hours on boat. In comparison, it is 5 hours by land + 1 hour boat ride to El Nido if you’re coming from Puerto Princesa City. Itinerary and expenses recorded on July 2012. I rented a bike. 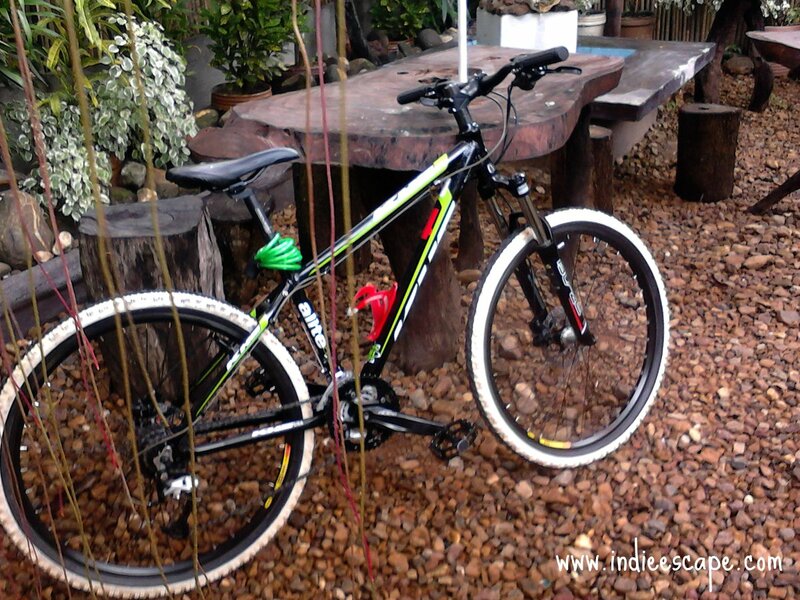 Bike Trails blog about it soon! A windy afternoon at the boulevard. 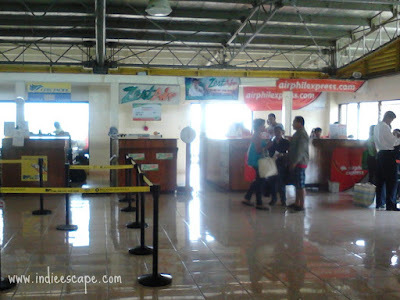 Inside Coron airport, see you next time!